SOLD! - USED paper PANTOGRAPHS for sale! Less than half price! The hover above your table surface. Mine has the capability to raise or lower the handles to whatever level is desirable for how you want to hold the handles while quilting. Think this is still part of the design. I have one of the first models Trinity offered so I'm sure she has done some tweaking over time. Love my system since I am not computerized. I get lovely results and sitting down has saved my back and knees. I have the Precise Pantograph System and love it for a couple of reasons. One is that with my hands on the system handles they also ride right on the table surface and I have excellent control of the stitching. The other, and most valuable plus for me, is that I quilt sitting down which makes for less stress on my body. I have a smooth floor and use a saddle stool on wheels. Being able to relax the tension in my body makes it possible for me to stay on task rather than do a row/wander away from the frame to work out the kinks way I used to do pantos. Took me forever to get a project finished the old standing way. Just the thing to cuddle under while watching the game. Have fun with it and be sure to post a finished photo so we can celebrate with you. Love doing bindings by hand. I offer this service as my business too. Hoping the closer we get to the holidays I'll pick up a few new customers. Guess you either love it or don't. Try checking your locks. Just a suggestion. What's Your Favorite Finish of the Summer? My favorite finish of the summer is just that....summer. I am not a lover of the hot and humid weather alternating with the cool endless thundershowers. Yuck! Now in to my favorite seasons, Fall and Winter. I foresee many more finished quilting projects with this change in the seasons. 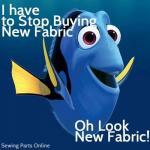 Rev up the longarm and dsm...full speed ahead! Anyone going to Houston this year? Not in the cards for is year but it's definitely on my bucket list. All those attending, have a great time and safe travels. Be sure to share some pictures for those of us at home.